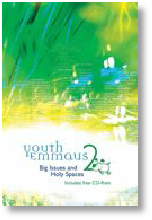 Youth Emmaus and Youth Emmaus 2 are resources for Christian youth leaders. Fourteen sessions for 11-16 year olds, exploring the basics of Christian faith. Ideal for youth groups and confirmation preparation A free CD-ROM with printable handouts and graphics is included. Fourteen more sessions designed to help young people develop and deepen their Christian faith – seven sessions on 'Big Issues' such as justice, forgiveness and materialism based on Jesus ‘Sermon on the Mount’ and seven 'Holy Space' outlines for interactive worship exploring fresh and relevant ways to communicate with God. 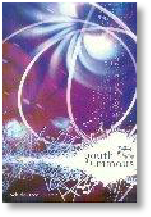 Ideal as a follow-on from Youth Emmaus or as stand-alone material for 11-16 year olds.